Yamaha launched the MT-15 in India in March 2019. For those of you who are still not aware the motorcycle is a naked streetfighter based on the YZF-R15 V3.0 that is already available in India. The MT-15 was launched in India with only two colour options including Black and Blue. 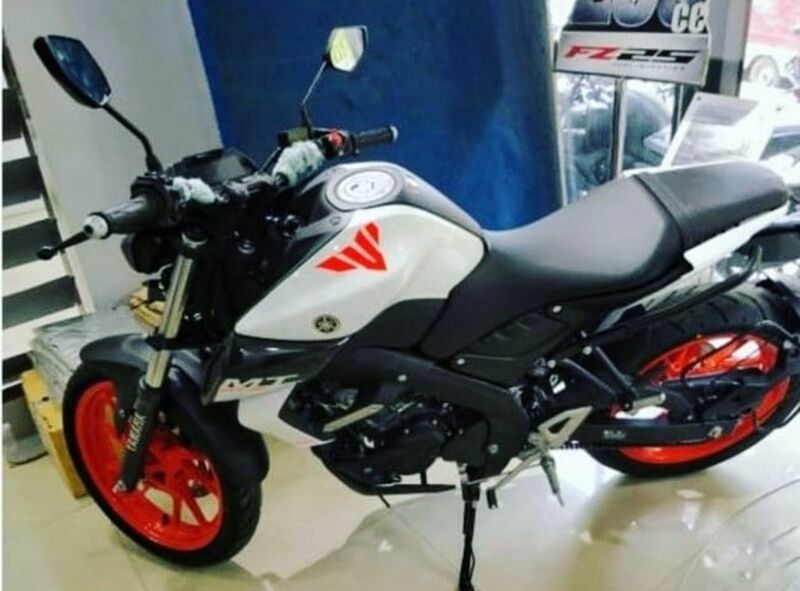 Surprisingly a new white colour option with contrasting orange wheels was spotted at a local Yamaha dealership recently. Unfortunately, this is not a new official colour option and rather is a dealer level mod job which is priced exactly Rs 20,000 more than the standard variant. The motorcycle gets an orange finish on the fuel tank and the frame. There was another model which was also spotted at the same dealership sporting white body paint and black alloy wheels. The second motorcycle was spotted with a TC number plate and looks to be a brand new delivery bike. 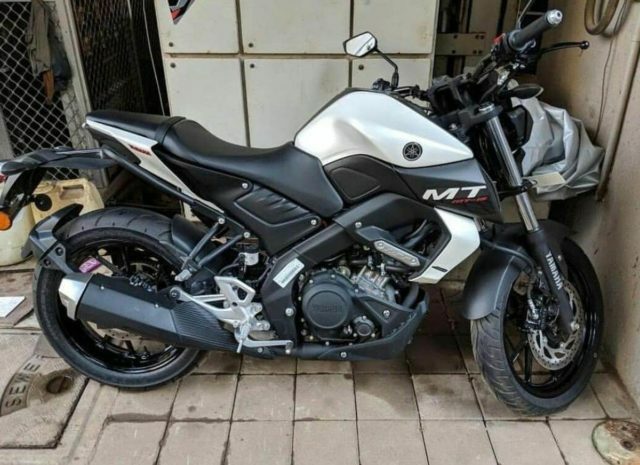 The white MT-15 did not get any orange accents on its body which indicates that this could perhaps be a new colour option which will also be included in the lineup soon. That said, the MT-15 takes its styling inspiration from the bigger and more powerful MT-09 and is actually priced a little higher compared to its rivals. Unfortunately, the motorcycle also misses out on some features which are present in the international-spec motorcycle. Believe it or not, the international-spec motorcycle features a USD suspension setup at the front (which promises to offer better ride and handling), sticky Pirelli tyres and dual tone colour options. The Indian-spec motorcycle also features a single-channel ABS while the international-spec gets a dual channel unit. The motorcycle is powered by the same 155.1 cc, single cylinder, SOHC, liquid cooled engine with Variable Valve Actuation. The unit produces about 19 bhp of peak power at 10,000 rpm and 14.7 Nm of peak torque at 8,500 rpm. The unit is paired with a 6-speed gearbox. The motorcycle can reach a top speed of 130 kmph mark. The Mt-15 rivals directly against the KTM Duke 125 in India.